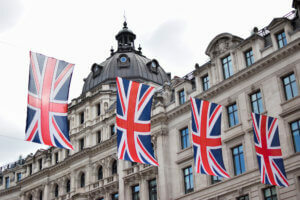 Home » Casino blog » What do we Know About the Royal Family’s Gambling Habits? As national institutions go, they don’t come more popular or familiar than the Royal Family. The recent wedding between Prince Harry and Meghan Markle underlined this, with more than 29 million tuning in to watch this across 15 different networks. However, while there Royal Family may be loved and extremely well-known, there remain some things that they are simply not synonymous with. Take gambling, for example, which does not appear to sit well with the image of our Monarchy or the rich heritage that defines their legacy. Whilst one wouldn’t imagine this would involve playing Quickspin slots for instance – or any other casino game for that matter – the Royal Family’s relationship with horse racing is well known throughout the realm. This does a disservice to gambling, however, while it also fails to recognise the diverse range of personalities that exist within the current Royal Family. In this post, we’ll explore the intrinsic relationship that exists between the royals and gambling in the modern age, and ask exactly how deep this runs. Perhaps unsurprisingly, the most popular form of gambling within the Royal Family revolves around horse racing. After all, this is widely known in the UK as the sport of kings, while it generated a healthy £4.3 billion through wagers alone back in 2017. Although this represents a decline when compared with the amount bet back in 2009, wagering on horse races remains one of the most popular sports betting activities in the digital age. Now, while we’re not sure whether the Queen enjoys a regular flutter online, we do know that she owns a huge number of exceptional and high-performance riders within her stables. According to statistics, these have earned her nearly £7 million in prize money during the last 30 years, while they’ll continue to generate more income in the months ahead. If we delve a little deeper into these statistics, Her Majesty’s record becomes even more impressive. She has recorded a total of 451 race wins to date, for example, with her winnings across three decades totalling £6,704,941 precisely. This year alone, the Queen has earned a healthy £413,641 from her horses, and we’d expect this number to rise further as 2018 progresses. Now, there’s no doubt that this undeniable success has been borne from an underlying love of horses, and a sport that has captured the hearts and minds of everyday citizens for generations. As her annual visit to Royal Ascot underlines, she enjoys nothing more than watching horse racing live and in the flesh, and it’s this that sustains her in her efforts to maintain a successful stable. Given the fact that wagering remains an integral element of the sport and one that is central to its enduring appeal, it’s fair to surmise that foundations of the Royal Family’s relationship with gambling has been set in stone for decades. Be honest; did you really think we were going to open this article by featuring the Queen and her passion for horse racing? Probably not, but this is not to say that the association is not genuine. In fact, it simply suggests that there is a more obvious candidate when discussing Royals’ who have a penchant for gambling and debauchery, and one who is arguably wilder than the rest of his family combined. We’re talking about Prince Harry, of course, who first visited Las Vegas in 2011 during his stint in the U.S. for military training. One Saturday night, he managed to take time away from a hectic schedule to frequent the Tryst Nightclub, as he spent at least a couple of hours drinking, partying and gambling at a VIP table. Incredibly, the Prince went largely unnoticed while partying, appearing as a normal reveller who was out for fun and excitement. After arriving at midnight, the Prince frolicked and danced with fellow party-goers, while placing the occasional wager and mingling with his ample security team. The fun loving Harry seemed to be completely in his element, and it’s hard to image a Royal who could be more synonymous with either land-based or online casino gameplay. As the minutes ticked on, and despite being tucked away at a corner table, the Prince began to garner more attention before retiring to his hotel room at around 3am. Now, while we’re pretty sure that Harry didn’t attempt to match Sean Connery’s legendary roulette run of 1963, it’s fair to say that he is not averse to the occasion flutter or high-stakes wager. In addition to sharing a unique affinity with the practice of gambling, the Royal Family has also been the subject of a fair few wagers down the years. The aforementioned wedding between Harry and Meghan Markel underlined this, with major bookmakers include Ladbrokes, William Hill and Paddy Power creating a range of fun and diverse markets relating to the big day. From the dress and the bridesmaids to the entertainment on offer the nation’s leading betting outlets banked millions in the run up to the Royal Wedding. Prior to the event, for example, Irish bookie Paddy Power were taking wagers on whether or not it rain on the day, laying odds of 4/9 that it wouldn’t and 13/8 that it would. The brand also offered a range of odds on who would attend, including Serena Williams (1/7), Elton John 1/50 and Markle’s ‘Suits’ love interest Patrick Adams (1/100). Williams Hill even took wagers on how the best man Prince William would wear his hair on the day, with ½ odds being laid on his preferred buzz cut and 6/4 on a shaved scalp. The firm even offered a price of 100/1 that he’d wear a wig, which has to represent one of the worst wagers in living memory. As we can see, the Royal Family clearly has an affinity, and one that can arguably be traced back generations. 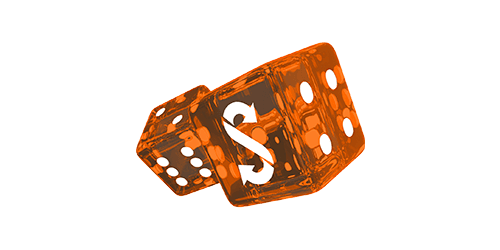 Whilst the Royals aren’t known for their love of poker, slots or blackjack, the interrelationship between them and gambling are as volatile as the best rtp slots at Quickspin. 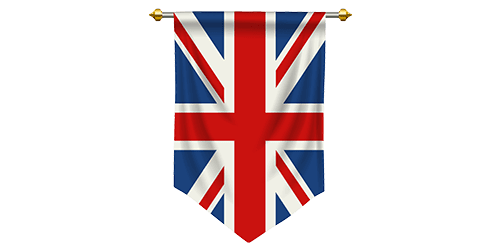 Whether we’re referencing the Queen’s love of horses or the public’s undoubted willingness to bet on Royal weddings and similar events, we’d wager that gambling and the monarchy boast a far deeper connection than initially meets the eye. This will only continue in the future, even as the dynamics of the family shift and new personalities emerge.